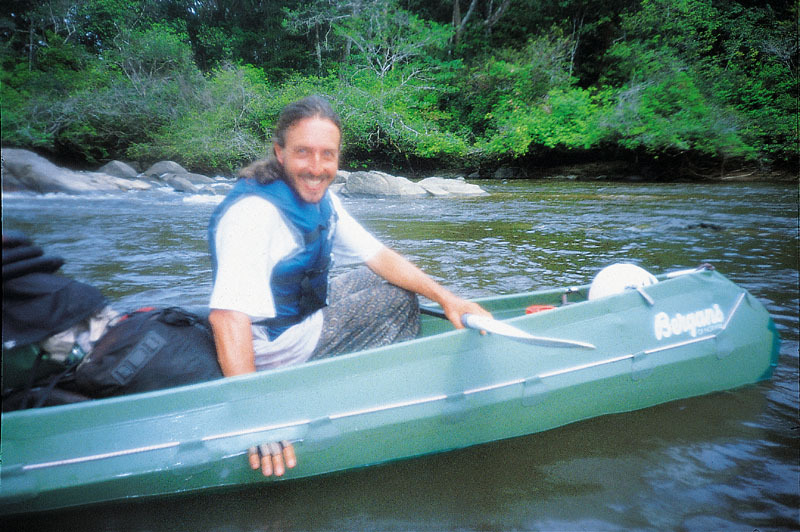 In 1998 I had my first experiences with the Ally canoe on the Rio Merevari expedition in Venezuela. Since then the Ally has given me life support and supply on more than 2200 km through rough water and terrain. 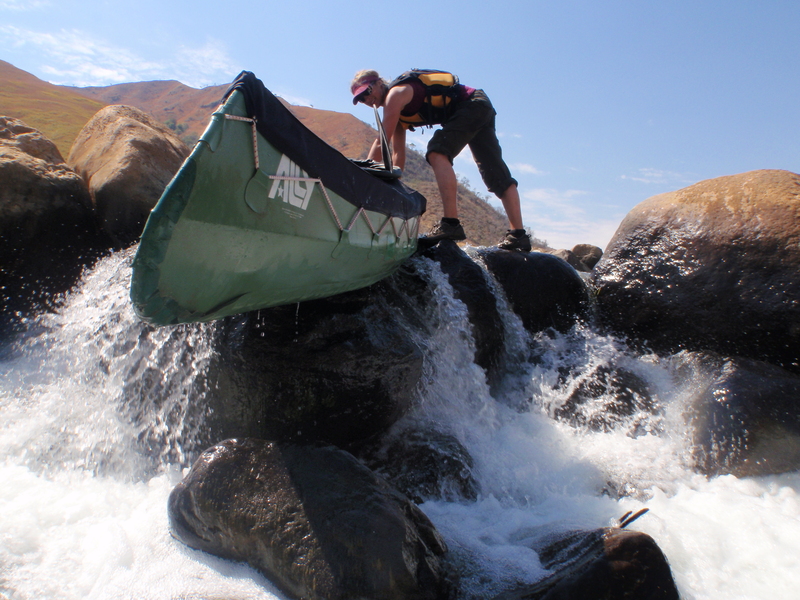 In fact the canoe has been the only way to get back to civilization on four expeditions. 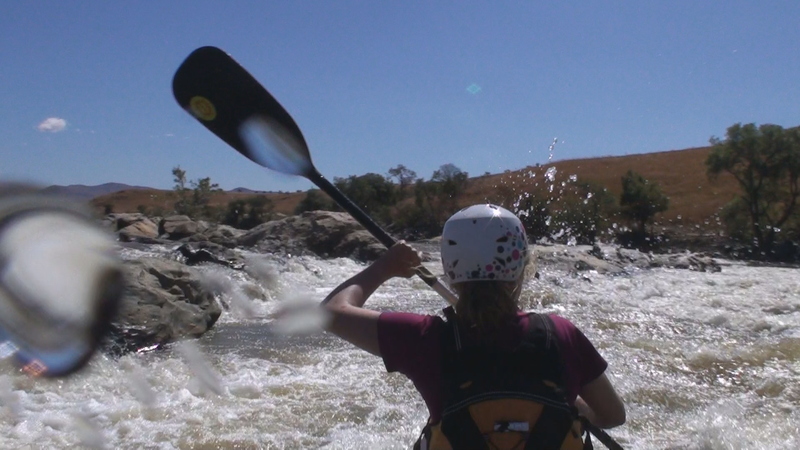 Rocky River – Mananatana River – Madagaskar. 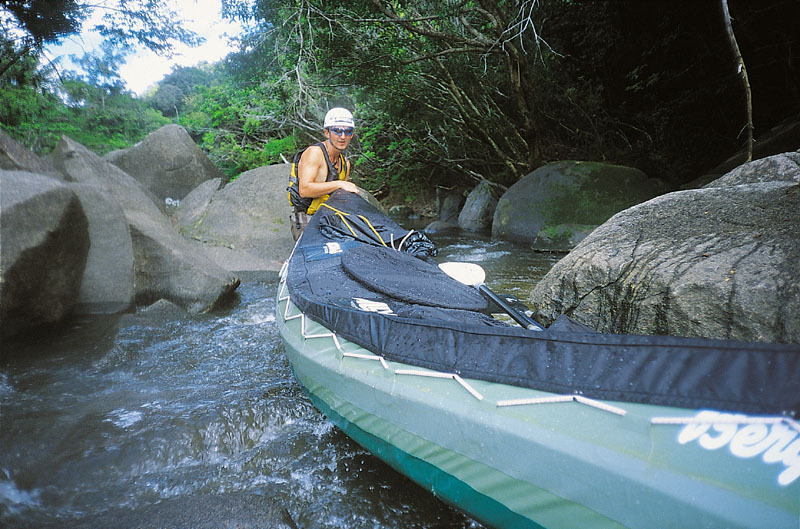 On most of the expeditions, Ally DR 16,5´with extra reinforced skin, has been used, mainly because the size is perfect and stabel long-range white-water expedition canoe for two persons. Several times we have had 150 kg cargo. But choosing the Ally from the beginning was mainly because of it´s lightweight, and especially the only foldable canoe. 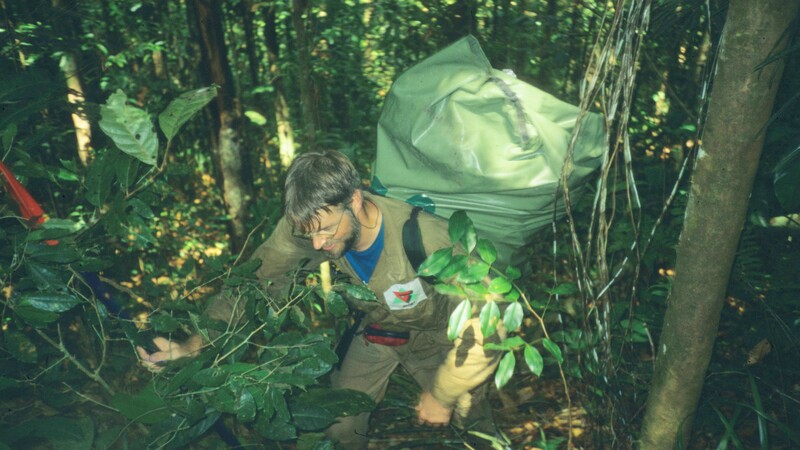 This made it easy to transport when traveling to the expedition destination, and also easy to carry when that was needed alongside the waterfalls or through the jungle. The flexible construction has been modified during the years, and makes the Ally abel to take collisions with rocks, ice-lumps or big choppy waves, very well. It moves very good through big waves and do not cut through the waves like a “normal” canoe. Experienced that the Ally has been bent into an U through big waves or in a drop, and then could have continued. Through the rocks – Rio Caura – Venezuela. Sometimes you can not continue. It stays in U-form! 🙂 This has always been solved by taking the canoe apart and bent the frame back to right position, and the expeditions continue. One negativ thing with the whole canoe is the first time set up. You do not think it is possible. The frame is fare to big and it is unbelievable it fits and even setting up many new canoes I still doubt sometimes it is possible. However after the first setup, it is much easier and when you get used to set it up, two persons can do it in 15 minutes. Silicon spray is the thing to use! 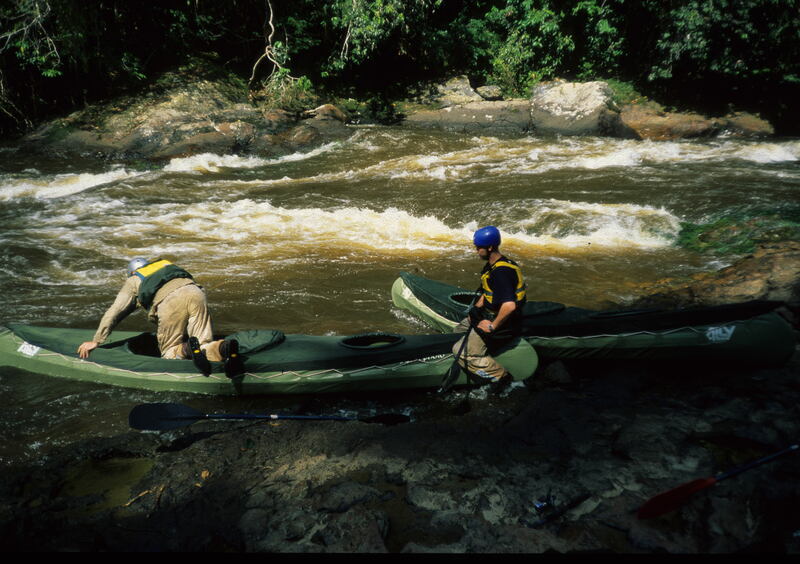 White water canoeing in Manananatana River – Madagascar. The skin is robust enough to handle impacts from rocks and other obstacles, but as said, we have always reinforced the bow and along the keel and sides with the expeditions reinforce set. Anyway, on a long range river expedition you will get some cuts and holes in the skin. The good thing; it is very easy to repair if you bring repeating pads and special glue. I say 20 minutes depending on how big the damage is.Even duck tape will do the job on small holes for a short periode of time. A long rift will need longer timen and maybe even pads on both sides. Have even done some sewing. But, we have always continued without any big problems. Andreas showing rough meeting with the rock-bed. The floating mate in the bottom of the construction function as a knee heater in cold weather, and more important take the beat instead of your knee when kicking into some underwater rocks or stones. On the other hand if you capsize, it keep the canoe floating anyway. You can read more about this expeditions on the link expedition. If you want to buy an Ally, you can check it out on http://www.bergans.com. 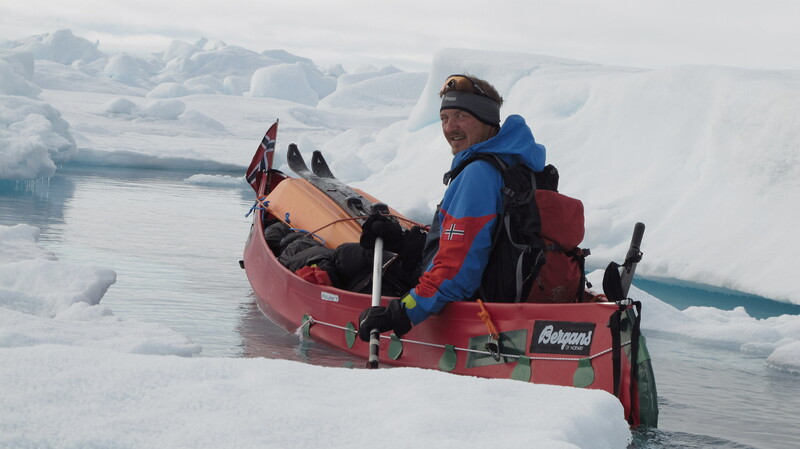 That is expeditions, but the training and gaining experiences happens back home in Norway. And that gives lots of fun. Write more about it later!